Weatherproof and easy to transport! 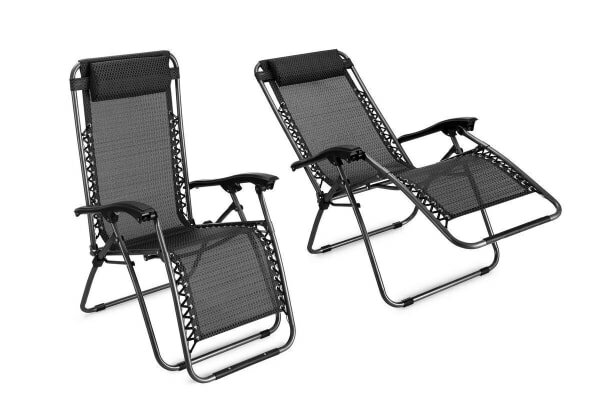 Weather resistant and easy to transport, this 2 Pack Zero Gravity Chair is the perfect choice for poolside lounging, camping or garden parties. Sit back, relax, and feel like you’re on holiday every day of the year with this brilliant Zero Gravity Chair – pool and a cocktail optional. The innovative design gives you a feeling of utter weightlessness, using a concept developed by NASA to make you feel as though you’re floating on a cloud. 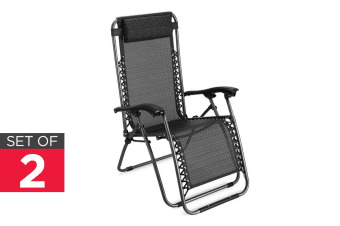 The quick-drying, weatherproof and fade-resistant PVC mesh fabric can be easily cleaned, making it perfect for outdoors. 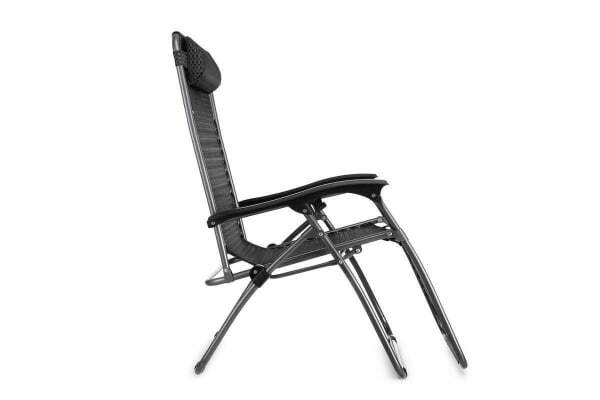 You can even take it with you to backyard parties or trips away, as the chair conveniently folds up into a compact package for transport.